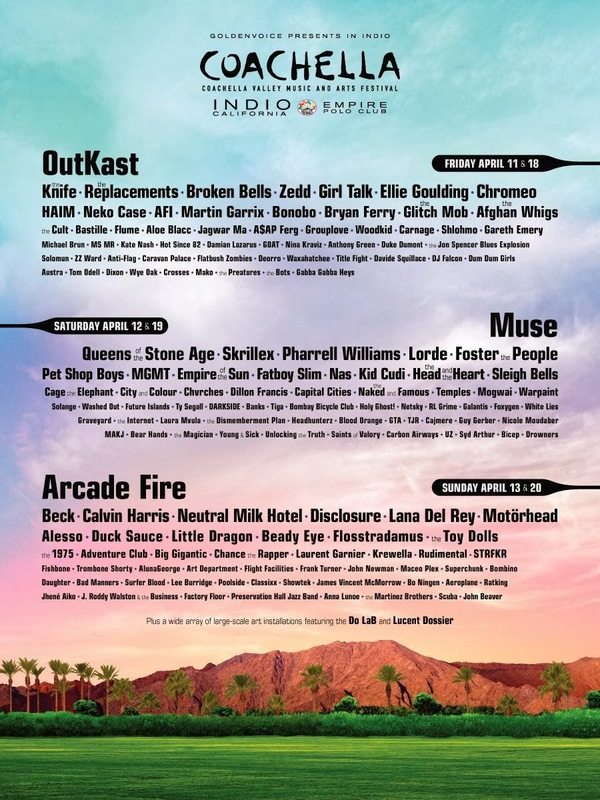 CONCERT ADDICT CHICK: The Coachella 2014 Lineup Is Here!!! The Coachella 2014 Lineup Is Here!!! 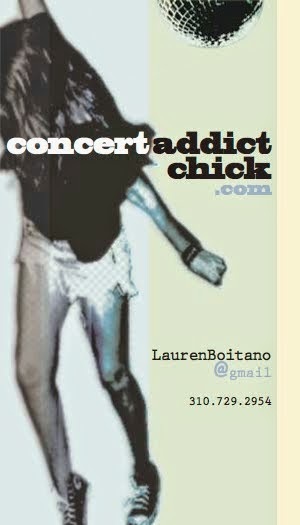 My 10th (& possibly final) Coachella is going to be the best one yet! I can't remember the last time I've been SO stoked on all 3 headliners! I CANNOT WAIT to see OutKast for my 1st time! Plus, Arcade Fire, Broken Bells, The Knife (for the 1st time! ), Beck, Muse, Kid Cudi, The Head & The Heart, Empire of The Sun, The Naked & Famous, Chvrches, Warpaint, Calvin Harris, Little Dragon, NAS, Foster the People, Neutral Milk Hotel, The Replacements, Pharrell, Girl Talk, STRFKR, Grouplove, Ellie Goulding, Queens of The Stone Age, Lorde, MGMT, Fatboy Slim, Future Islands, Flight Facilities, AlunaGeorge, Trombone Shorty, Poolside, Classixx, Washed Out, Surfer Blood & whatever other awesomeness I can squeeze in. I realize there will be a million conflicts & I won't get to see absolutely everything I want to see but the proper sacrifices will be made when necessary.